The “string” on the bottom is a nerve retractor, wrapped around a nerve of the brachial plexus.Vertically in the center is nerve with the cabled sural nerve graft in place. The nerve above the repair is ruddy and the graft distally, below, is comprised of two parallel parts, like lying two spaghetti strands side by side. Nerves are a part of what can be called the “electrical wiring system” within the body, carrying messages from the brain to the rest of the body and back. Nerves provide sensation and power muscles. Motor nerves carry messages between the brain and muscles to create movement within the body. Sensory nerves carry messages to the brain and different parts of the body to communicate pressure, pain, sharpness, touch, vibration or temperature. Nerves are fragile and can be damaged from some forms of daily use or from lacerations, cuts, pressure, or stretching. Injuries to the nerve have the potential to slow or stop signals to and from the brain. This may result in core muscle groups ceasing to function properly, or the loss or distortion of feeling in the affected area. A nerve injury thus results in a feeling of diminished touch or weakness, or both. Depending on which nerve has been injured and where the site of injury is located, the symptoms can involve a large area of numbness and weakness. Nerve injury is the result of damage to a peripheral nerve. Injuries of this nature may be considered partial or complete. Partial nerve injury means that some amount of the nerve is still intact, thus the potential for the nerve to heal on its own may remain in some cases, but not in others. Complete nerve injury means that no component of the nerve remains intact, so there is no possibility at all for the nerve to heal itself without intervention. Stretch nerve injuries: because peripheral nerves are elastic, traction force has the potential to partially or completely tear the nerve. This may result in an injury known as Erb’s Palsy in the brachial plexus, more commonly a neuropraxia, axonotmesis, and neurotmesis. 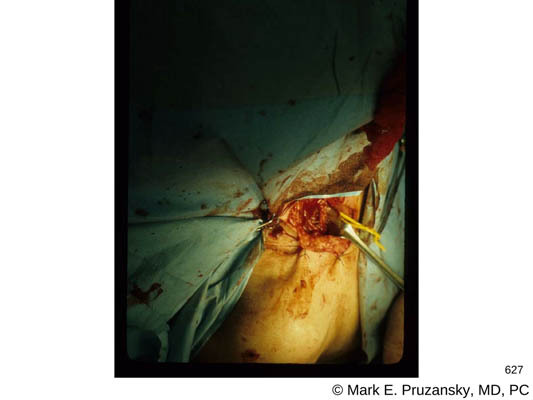 Laceration nerve injuries: nerve injuries sustained by blades and glass have the potential to become complete transections, though some continuity may remain. Compression nerve injuries: radial nerve compression as well as entrapment neuropathies, such as carpal and cubital tunnel syndromes can result in nerve injury. They do not involve neural element tearing, and depending on severity, may heal spontaneously. Traumatic injuries, especially lacerations, generally benefit from microsurgical repair. Direct repair of the injured nerve is the goal, but sometimes reconstructive techniques may be necessary, including nerve autografts, allografts, conduits, and transfers from neighboring healthy nerves, in order to optimize recovery of sensation and movement. 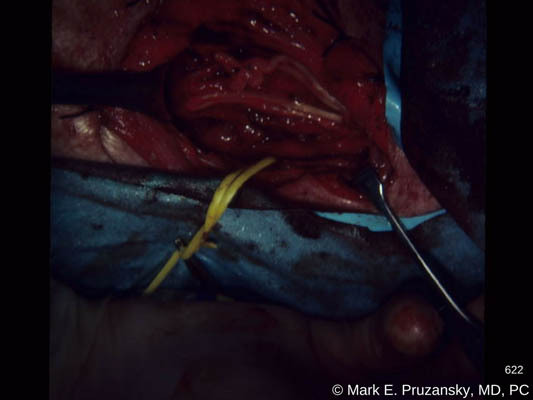 Nerve injury that is the result of chronic compression or a systemic illness sometimes offer the opportunity to be managed conservatively before considering surgical treatment. When is Nerve Surgery Needed? Typically, surgical repair is required to try to regain any function that is lost during or after the injury. The primary goal of surgical repair is to relieve symptoms of nerve injury and perform nerve decompression or reconstruction if necessary. A thorough physical examination of the hand and forearm to the neck will help diagnose the level of injury to the nerves. Symptoms may occur after lying down on an arm too long, or may be a result of a crushing, stretching, or sharp injury. Loss of sensation in the hand, forearm, or upper arm. Loss of function or strength in the hand, forearm, or upper arm. Wrist drop or inability to extend wrist. Decreased muscle tone in hand, forearm, or upper arm. Changes in sweat patterns to hand, forearm, or upper arm. Drs. Pruzansky will speak with you to understand if an accident occurred or whether there has been non-traumatic numbness and weakness. Localizing the area of the hand and upper extremity that is affected is important to arrive at the correct diagnosis. In some cases, more than one nerve may be injured. The physical exam must be thorough to individually assess numerous muscles and sensory nerve endings. A variety of causes lead to Nerve Injury. Traumatic causes include laceration, compression, and stretch injuries. These can occur from knives, broken glass, passing out while lying on the arm, and motorcycle accidents. Other causes can be due to degenerative processes, systemic disorders, as well as inherited predisposition and congenital anatomic variations. Hand Nerve Entrapment/Carpal Tunnel/Cubital Tunnel Syndrome: pinched median or ulnar nerve. Hand Cysts and Tumors: any cyst or tumor compressing a peripheral nerve. Arthritis: inflammation of joints may compress an adjacent nerve. Fractures and Dislocations: fractures or dislocations in the phalanges and upper extremity to the neck may have concomitant nerve injury. Reflex Sympathetic Dystrophy also Complex Regional Pain Syndrome: disorder of the sympathetic nerve system. Ulnar Nerve Compression: compression of the ulnar nerve at the elbow or wrist at Guyon’s canal. Radial Nerve Compression: Diminished sensation and/or strength in the forearm, wrist, and hand. 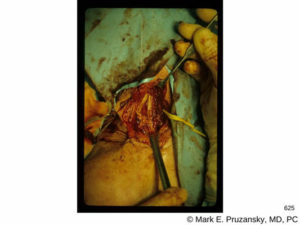 What Does Nerve Surgery Entail? A nerve conduction study (NCS) can provide additional help with evaluating the degree and location of nerve injury. X-rays will evaluate for underlying fractures or chronic degenerative changes of joints that can affect adjacent nerves. A CT or MRI and NCS may be helpful as well. All of this information is synthesized with diagnostic acumen to pinpoint the injured nerve(s), the cause and location of nerve injury, and associated injuries that may also have occurred, and determine whether to operate or observe. In some cases, a tendon transfer may be required. These procedures take muscles and tendons from other parts of the hand, forearm, and upper arm to function in the place of an irreparably injured nerve. The redirected tendon is selected because of some duplication of function in the structures of the upper extremity. In many cases, the severed ends of the protective myelin sheath around the nerve can be reconnected, which will enable the nerve to regrow. 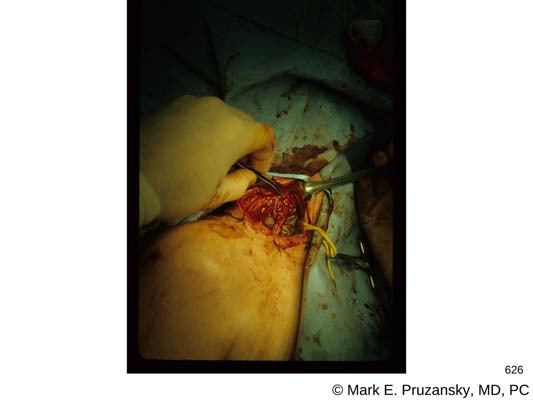 Can Every Surgeon Perform Nerve Surgery? If the nerve is severely damaged, it has the potential to result in a bundle of unconnected nerve endings called a neuroma. These can result in a host of unpleasant sensations if knocked or tapped. Other times, a badly damaged nerve may not heal correctly, even with surgery. Options include a nerve graft, transfer, or neurolysis. For these reasons and many others, it is vital to seek out a specialized hand surgeon. It is important to have a surgeon who has the experience to properly diagnose the extent of your injury and treat it properly. It’s important to seek the best care—which is why Drs. Pruzansky of HandSport Institute are ideal candidates offering special expertise in nerve surgery. Since nerve fibers grow slowly, even in ideal conditions, it often takes months or years for the nerve to finish regrowing, to the extent it will. Nerve fibers grow approximately one inch every month after a complete disruption is repaired. It is many months for the nerves to heal for the muscle groups and sensation to function again. Many patients report a “pins and needles” sensation in the affected region. Healing time is highly dependent on the injury, the individual and many other variables. It is important to seek prompt and specialized medical care following a nerve injury. If You are Experiencing Nerve Pain, Contact HandSport Surgery Institute. Please contact us as soon as possible to schedule an appointment with our talented team. If you have been injured, it’s important to be evaluated by a highly skilled professional. Call Drs. Mark and Jason Pruzansky at 212-249-8700 to schedule an appointment and obtain an accurate diagnosis.